Find solutions to missing hardware in your project. If you are having trouble finding your hardware in the FlexLogger Channel Specification, try the following tips. Refer to the list of supported hardware to confirm that your devices are supported in FlexLogger. Confirm your devices are properly connected and powered. Open Measurement & Automation Explorer (MAX) and confirm your device is present. Ensure the chassis is reserved by your host computer. If not, click Reserve Chassis. Refer to the Can't Find DAQ Device in Measurement & Automation Explorer (MAX) document for additional information on using MAX to locate your hardware. 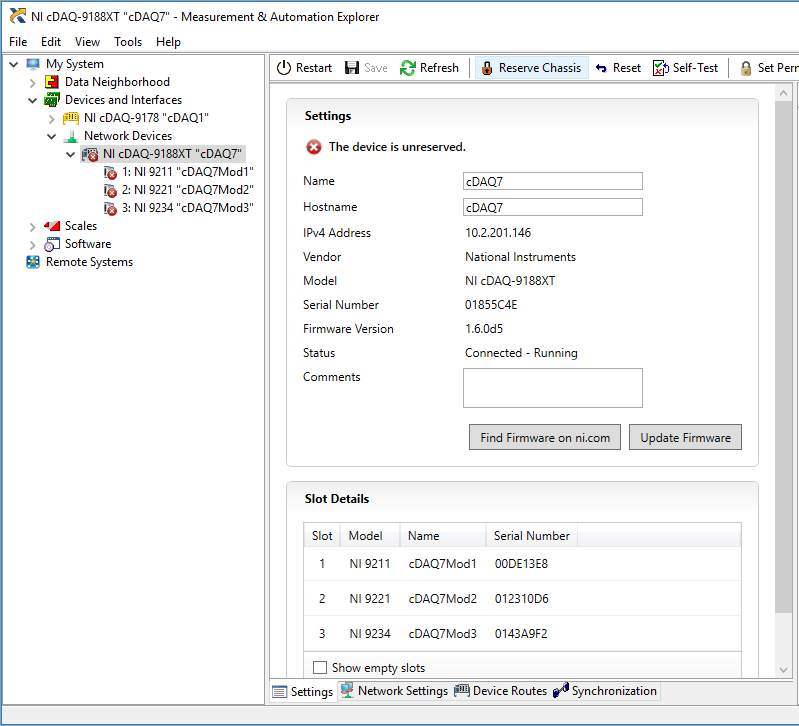 Refer to the Can't Find DAQ Device in Measurement & Automation Explorer (MAX) and NI Networked Device Doesn't Show Up or is Missing in MAX documents for additional information on using MAX to locate your hardware.